Sometimes a diorama scene needs a tree. It might need the height to balance some other element, or it might need it to tell part of the story, or it could just be that a natural setting looks a bit ... sterile ... without a tree. Regardless, you sometimes need a tree to make a statement. It needs to look dramatic and authentic. Well, you're in luck, because I've just loaded a new video tutorial to my Youtube channel. It's all about how to use twisted wire to make a tree for a diorama. This technique will give you that result. It's cheap and easy, but it is time-consuming. 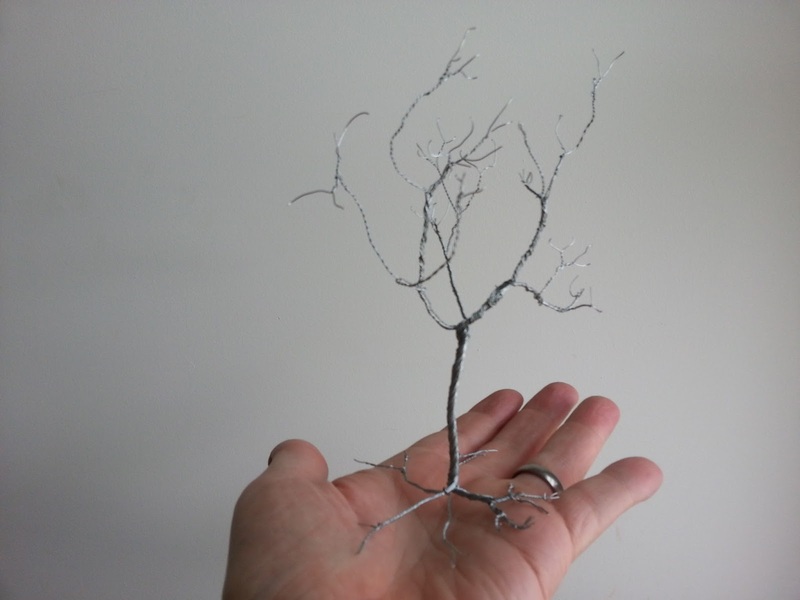 So you wouldn't want to plan a whole forest diorama full of these wire trees. Or maybe you would, some modellers seem to be masochists. But if you need one or two statement trees to be the hero of your natural diorama, you've come to the right place. 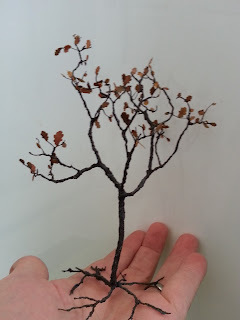 I made an Autumn oak tree, but this technique will work for any type of tree in any season. So please have a look, and let me know if you have any questions or comments. 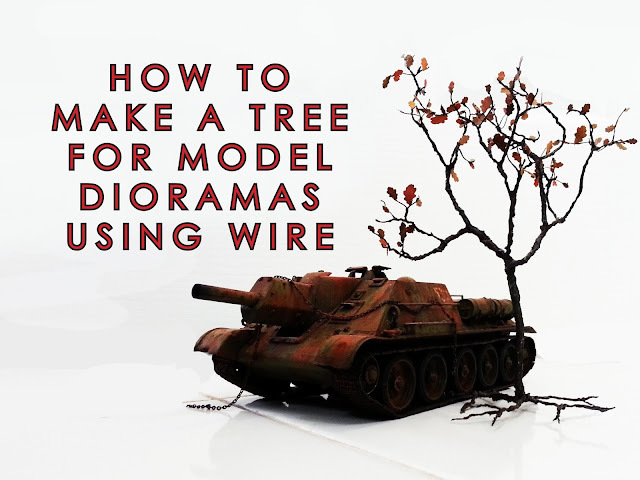 Video tutorial: How to make a tree from wire for model dioramas. And if you haven't already, please do visit my Youtube channel Dave's Model Workshop and have a browse, there is plenty there to keep you busy. You may even want to subscribe, so you get automatic updates every time I release a new video.